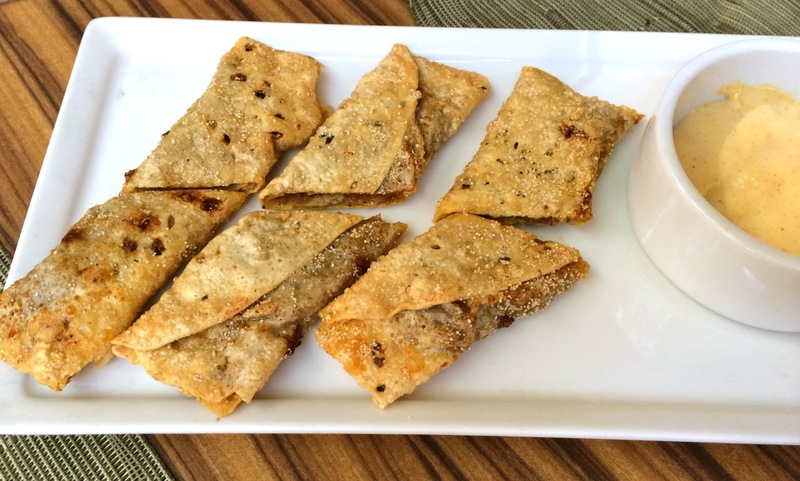 Goa’s O Coqueiro pops and crackles in Mumbai! Monsoon in Goa is one of the most beautiful things to experience. But, for a foodie, it can be tough because almost every restaurant worth its salt – or sugar – is shut for the season! One of the few old timers who stay open through most of the off-season, and one we eagerly trooped into last August, is O Coqueiro, housed in a huge bungalow by the highway, with beautiful open verandahs, sweeping arched doorways, terracotta roof and cosy courtyards that spell ‘LAZY’! 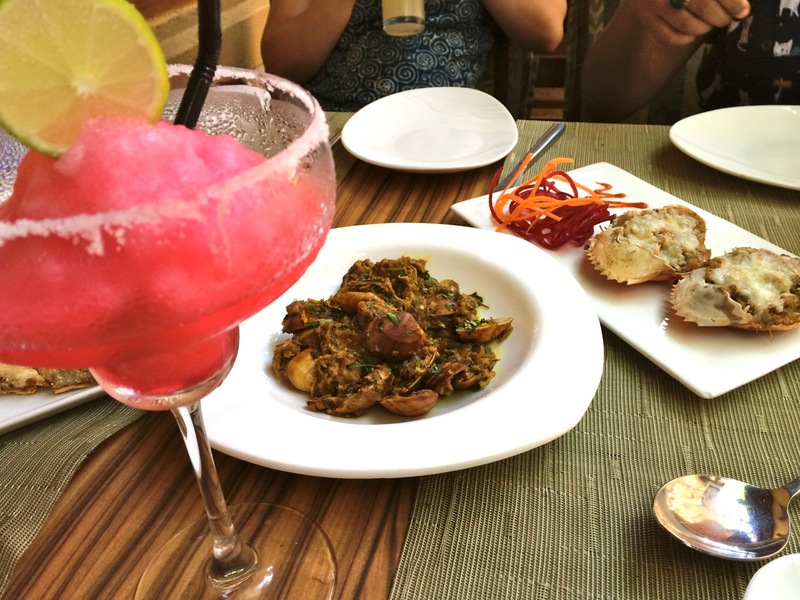 O Coqueiro (means The Coconut Tree in Portuguese) was famous for its finger-licking, authentic Goan food decades before it became famous for being the restaurant from where criminal mastermind and famed fugitive Charles Shobhraj was finally arrested. Yes, they actually have an endearing hand-cuffed, white statue of Charles Shobhraj on its verandah with a plaque proudly describing the incident! 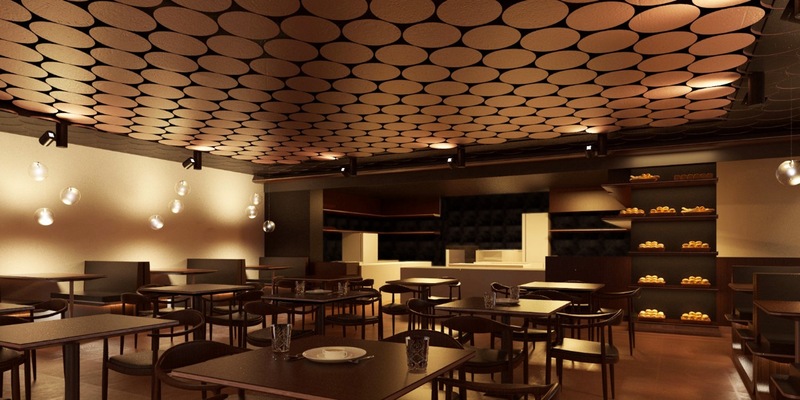 Like me, if your ears perked up at ‘authentic Goan food’ and everything else was a blur, then there’s good news for you… O Coqueiro has landed on the shores of Mumbai! So, for this entire week, you can dig into a specially-crafted menu of their best-sellers from Goa, prepared with authentic Goan ingredients by their very own chefs right here in the kitchens of Bungalow 9 in Bandra! Always a sucker for Goan food, Neha, Dash, Teddy and I followed our Goan-obsessed taste-buds and sniffed all the way to this lovely bungalow in Reclamation, Bandra. 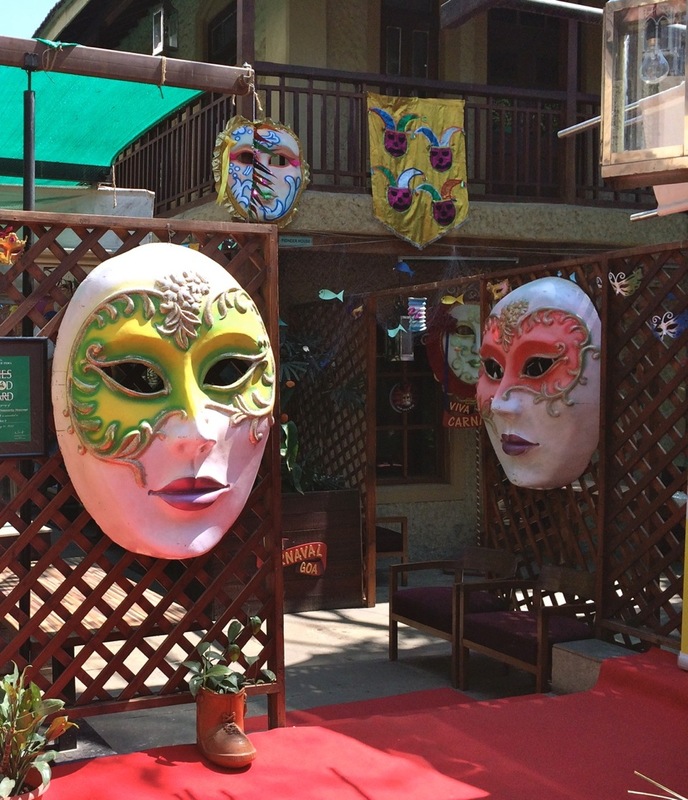 A festive, sunny courtyard dotted with large Rio-style masks and fish-nets greeted us as we settled into our quiet, comfy table under the wooden cross beams. Soon, plates of Prawn Stuffed Papad, Butter Garlic Squid and Goa Sausage Chilly came and were polished off, with some great thirst-quenching Ginger Peach Ales and a couple of mountainous Strawberry Margeritas that looked straight out of a dessert factory… Conversation flowed as much as the food… from various foodie discoveries in Goa, to re-connecting with old friends like Joe Sequeira (who used to run Not Just Jazz By The Bay and is at the helm of things here), to Teddy’s ‘accidental’ discovery of the Long Island Iced Tea at ‘Jazz’ (or so he says!) to Neha’s pet cats that almost talk like humans… this I’ve got to see! But the main course arriving soon after put an end to all conversation as we bit into the Kingfish Fry, beautifully crusted with poppy seeds, a somewhat intense Prawn Balchao, a mildly flavoured Mutton Xacuti and platefuls of fluffy and freshly-made Sanna, the traditional steamed Goan bread drizzled with Toddy! The Chefs probably thought we wouldn’t be able to manage anything after that meal, so our desserts arrived very late, almost as an after-thought. But apart from the strangely thick icecreams, the desserts were well worth the wait! 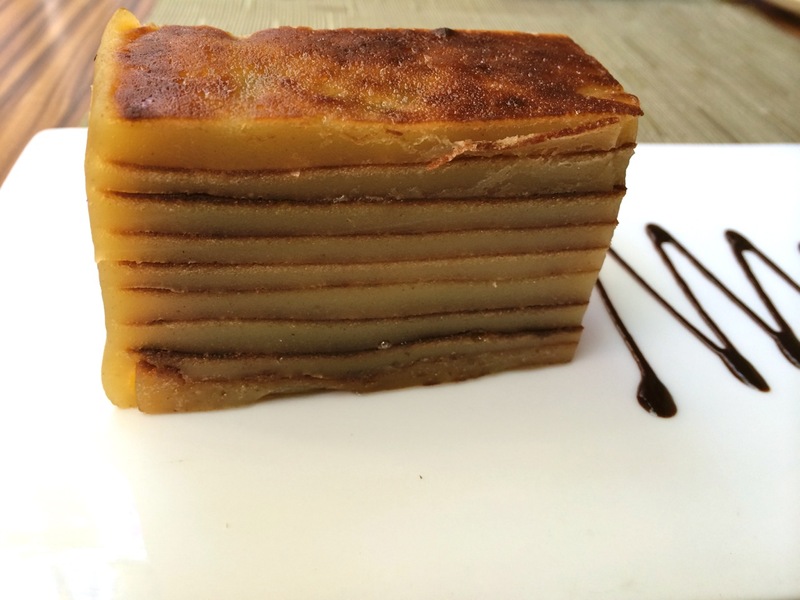 The 9-layered perfectly caramelized Bebinca was on the right side of sweet, and the deep-fried Banana Fritters were some of the best I’ve had – simple and light with a crisp batter covering a warm gooey centre… blissfully home-made and delicious! 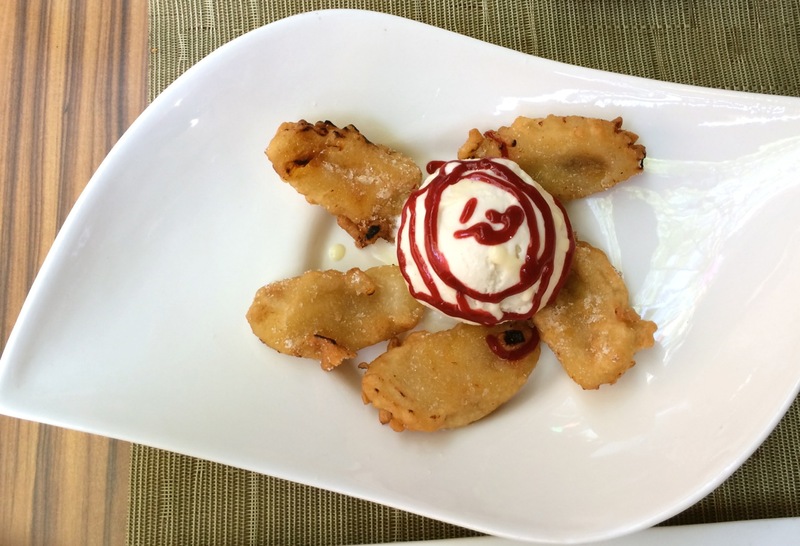 Light, crisp and gooey Banana Fritters! 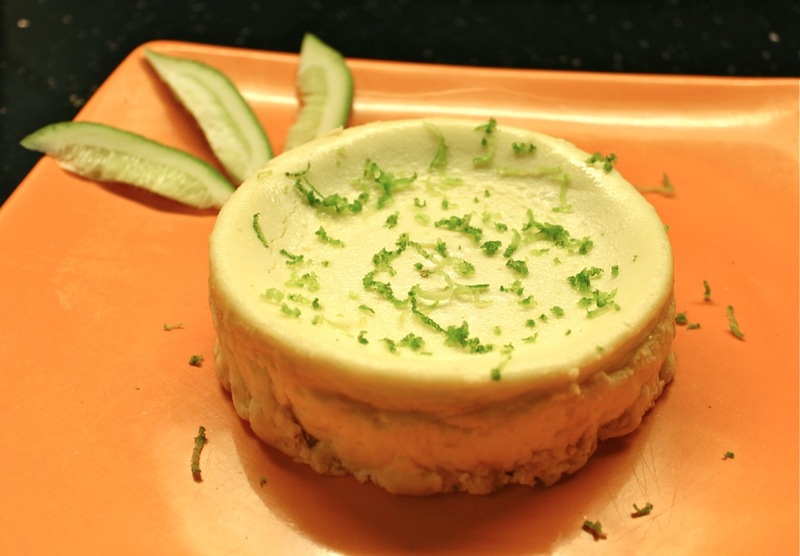 But Mumbai’s love-affair with the cheesecake is a fairly recent phenomenon. A decade ago, only a couple of places in the city had it on their menu once in a while – I remember running around town craving for one, but not having much luck. Having ‘tasted blood’ with those gorgeous and elaborate ones up on the display counters of cafes lining the South Bank of the Yarra River in Melbourne, it was my favourite go-to dessert… you know, the ‘one-dessert-solves-all-problems’ kind! Like all good things to eat, the Cheesecake found pride of place in the city’s heart and slowly captured the imagination of chefs at restaurants, cafes, bakeries and pastry shops, where you can easily order for and enjoy one today, although the quality is always a gamble. Unless if you get your hands on a precious, tried-and-tested recipe from the hallowed corridors of Chefdom, and make it yourself, like I did! Recently, I was at the launch of the 6th Indigo Deli of the city… SIXTH! 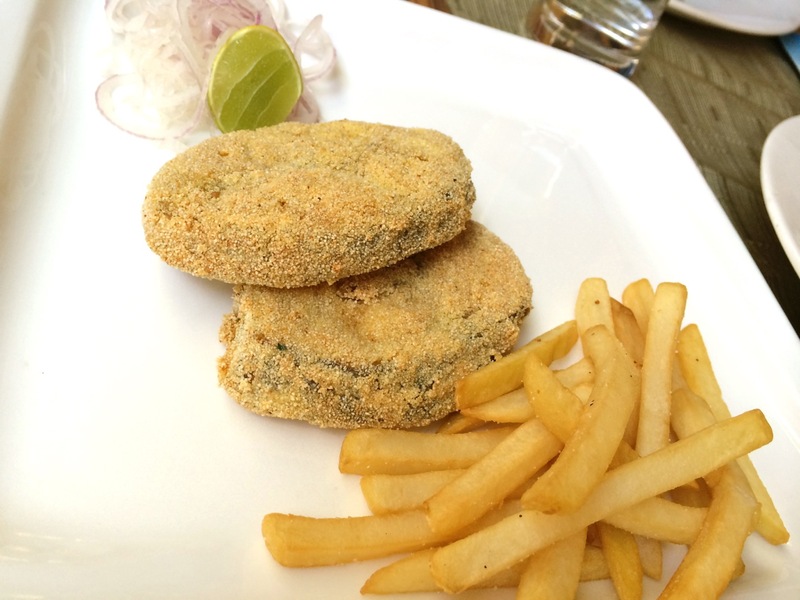 Yes, Mumbai’s appetite for good food never ceases to surprise, does it? 😉 This one at Inorbit Mall, Malad has all the hallmark Indigo touches of warm, woody interiors and a chirpy, diner feel, along with the elaborate menu common across all the delis. Eggs on the Beach – as good as it looks! But apart from their signature Eggs on the Beach, Bagel and Lox, Wafer-thin pizzas and the ‘gotta-have-them-all’, fabulous desserts, this one has a few must-try Daily Specials… the Spinach and Garlic Risotto with a Bhavanagari Fritter, the Pan-seared Halibut with a piquant Mustard Mash, and the ‘Burger with Works’ with its own ‘wicked’ sauce, that rises straight out of your table like a tall skyscraper! 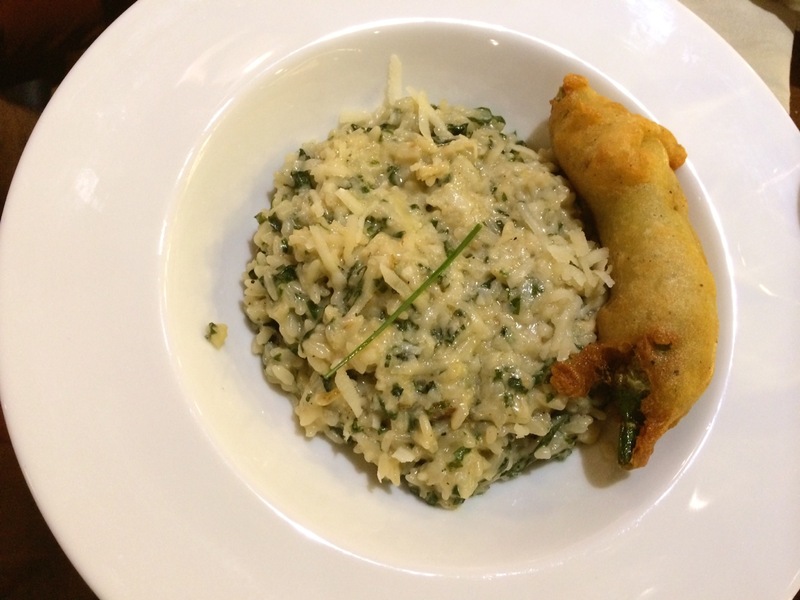 I had almost worked through a massive meal of these specials when Executive Chef Jaydeep Mukherjee came around, insisting I try their Crusty Ham n Cheese Quiche, and then soon after came back with slices of the thinnest Carbonara Pizza ever, fresh and bubbling from the oven. So I made a pact with the Chef… a devil’s pact on hindsight, considering how full I was already! I promised to try ALL his recommendations in exchange for his gorgeous and simply unmatchable Lemon Cheesecake recipe! It wasn’t easy, but I kept my eye on the prize and got there. 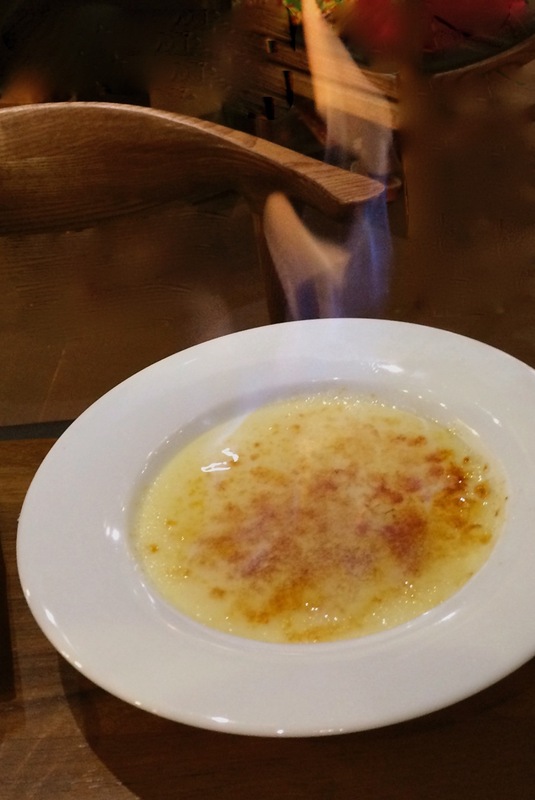 When I gobbled up the last bite of the perfectly crusted, giant Creme Brulee that the Chef recommended and personally flambéed at my table, (with a very generous pouring of Sambuca on top! ), he finally relented and gave me the recipe. But when he heard I was going to use the beautifully aromatic, green and large ‘Gondhoraj’ Lemons found only in the Eastern parts of the country, his enthusiasm reached a different level! A priceless discussion followed on the merits of different kinds of lemons, substitutes for ingredients and many other Chef-y tips that the Chef willingly shared and I eagerly tucked away into memory! I used to have this rule, maybe a pointless one, but hey, how many times has your Mom told you not to pick things off the floor and eat them, and how many times have you done just that when a little piece of chocolate slipped through your eager fingers and landed on the ground, huh? See what I mean? But this week was a struggle, leading to the breaking of the rule, and I am actually glad for it! 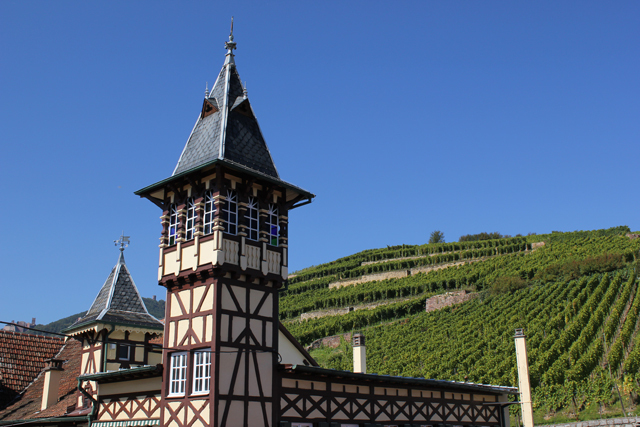 I was at Mezzo Mezzo to taste a selection of exclusive white wines brought down by the good fellas at Fine Wines n More from Trimbach, a centuries-old, renowned vineyard in Alsace, France. 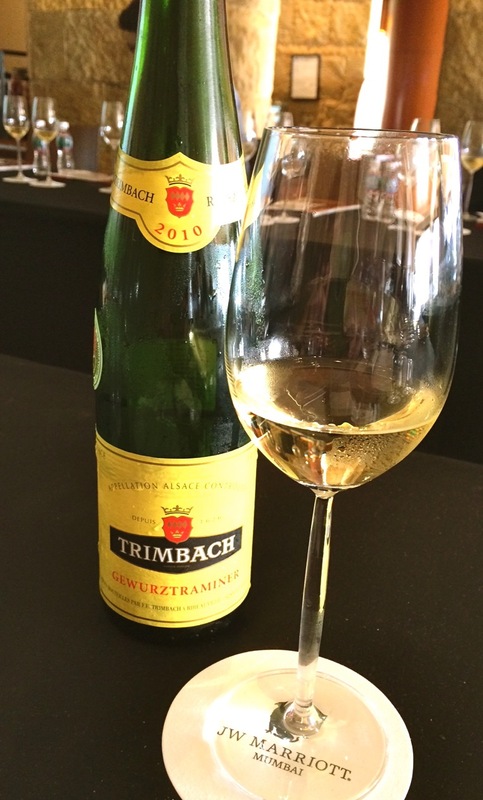 The bold and beautiful Gewurtztraminer by Trimbach. After a pretty dry and subtle Riesling, (I personally prefer a sweeter German Riesling) it was the turn of this tongue-twister of a name for a wine… ‘Gewurtztraminer’. I just couldn’t pronounce it! Even after trying several times, and despite help from Sayoni Bhaduri, fellow wine enthusiast from Indian Wine List… It sure made for a few good laughs around the table! And then the wine was poured into our glasses and everything else was forgotten. One sniff of that beautiful, bold, aromatic wine and I knew I couldn’t wait to get the pronunciation right and had to jump straight in. A quick swirl and a sip brought out the lovely notes of Lychee and a hint of spice, and there I was drinking one of the best wines I have ever tasted. Yes, it was THAT good! So, I let the wine do its job, and after a few glasses of this, and another refreshing and lip-smacking white wine, the Pinot Gris, the name ‘Gewurtztraminer’ was flowing off my tongue with easy languor! As if to celebrate the breaking of this personal rule, a kind of impromptu celebration ensued, with Chef Davide bringing out his new edition of Tiramisu to everyone’s joy! 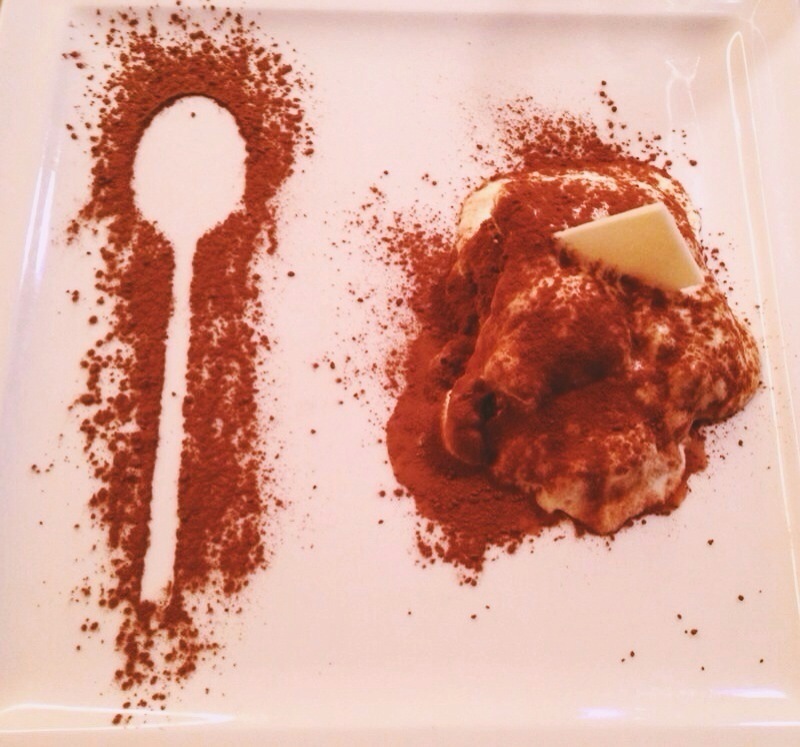 Tiramisu par excellence by Chef Davide! Spectacularly plated portions of the gooey dessert, dusted cleverly with cocoa, arrived at the bar ahead of the evening service, as the setting sun over the Arabian Sea just outside set the interiors of Mezzo Mezzo ablaze! And even though the Chef’s earlier version was simply superb, this new avatar of the Tiramisu was the ultimate, made with the very best Mascarpone available, and a few secret ingredients that the smiling Chef always has up his rolled-up sleeves! So now that we have conquered that one, what other names of food/drink can you think of that are tough cookies to crack?